Auburn retirement campus celebrates 10 successful years of serving older adults and the greater community. To honor 10 years of operations, the Wesley Homes Lea Hill retirement community will have a celebratory gathering on campus on Sunday, May 21 at 1:00 p.m. To RSVP, guests should call 253-876-6000. The first groundbreaking took place on July 15, 2005. By May of 2007, 22 Village Homes, 22 Brownstone apartments and Eby Lodge, the social center of the campus with additional residences, were completed. In all, including The Arbor memory care, the campus is home to over 230 residents. The nearly 19 acres includes walking trails in the park-like setting. By spring of 2016, the campus opened the Lea Hill Rehabilitation & Care Center. Comprised of 34 private suites and one semi-private suite, all with kitchenettes and en suite bathrooms, the rehab and care center is the only not-for-profit center of its kind in greater South King County. The care center completes the continuum of care on the Auburn campus. Over the years, the residents and staff have spread that spirit to the greater community. The campus provides meeting space for several non-profit organizations and participates in community organizations and events. The Children’s Therapy Center uses the campus pool twice a week for their aquatics program, and Mary Bridge Children’s Hospital has received hundreds of pillowcases, many created by resident seamstresses. In 2012, for the campus’s Community Emergency Response Team (CERT) program, King County Executive Dow Constantine presented the campus with the Executive’s Award for Community Preparedness. The recognition is given for outstanding efforts made by volunteer organizations to prepare for and respond to emergencies and to promote safer communities, strengthening King County as a whole. Wesley Homes Lea Hill also serves the community as an employer and job training platform. The campus currently employs 117 full- and part-time employees. Many teens have worked on the campus, participated in the job shadowing program or volunteered. They even helped develop a prom for the residents. 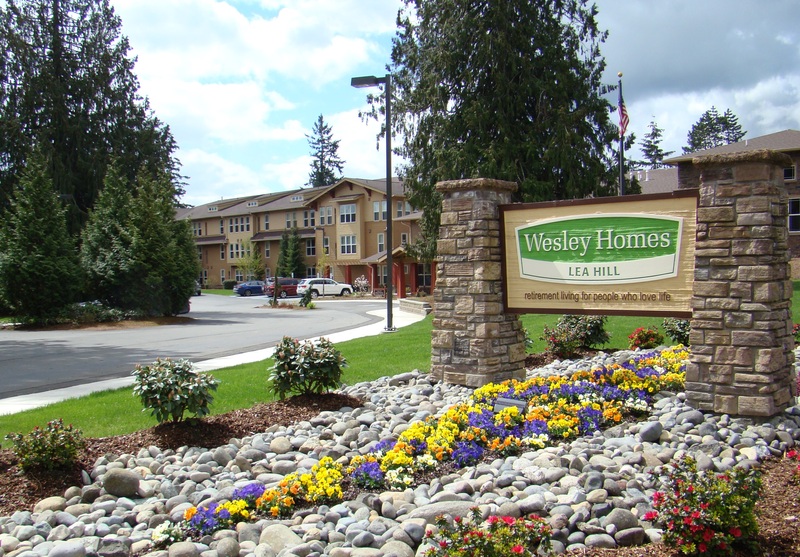 Established in 1944 and affiliated with the Pacific Northwest Conference of the United Methodist Church, Wesley Homes operates two retirement communities and a home health agency. 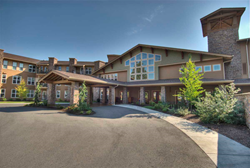 Wesley Homes Des Moines and Wesley Homes Lea Hill in Auburn provide a network of services for older adults, including independent living, assisted living and housing with services residences; skilled nursing and rehabilitation; and memory care. Wesley Homes Bradley Park in Puyallup, Wesley Homes’ third community, is currently under construction. Wesley Homes Home Health provides in-home care and Medicare- Medicaid-certified services to clients in King and Pierce counties.